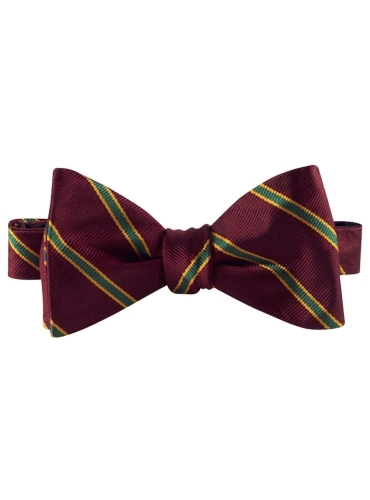 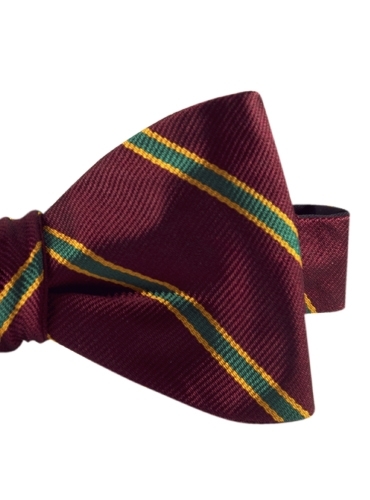 Entirely hand-sewn English silk repp to-be-tied bow ties, in vibrant grounds, shown here in G-wine with Kelly green. 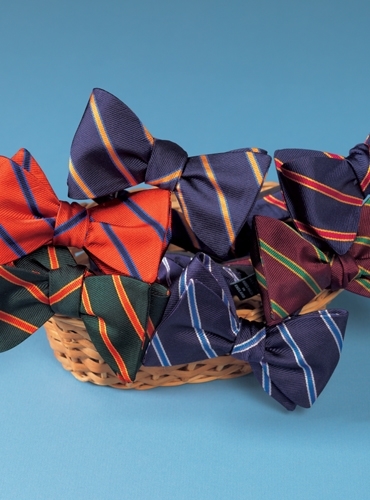 Also available in: A-chilli with navy; C-bottle with chilli; D-navy with marigold; E-navy with cornflower; F-navy with ruby. 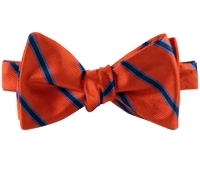 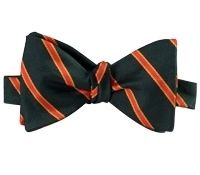 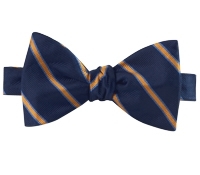 Also available in a traditional four-in-hand tie, W162.